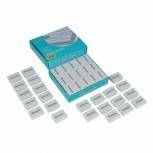 Classmaster Plastic Eraser White (Pack of 45) PES45 Pack of 1 Classmaster Pencil Eraser White Pes45 Pk45 Erases graphite from paper without smudging or tearing. 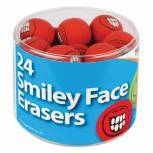 Each eraser is individually shrink wrapped to maintain freshness. Size: 32 x 23 x 9mm. 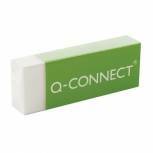 For more erasers see page 96. 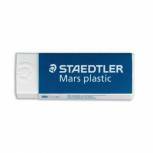 Staedtler Mars Plastic Eraser 526-50 Pack of 20 Staedtler Mars Plastic Premium Quality Eraser. 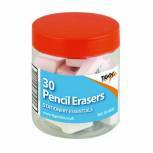 Removes graphite from paper, tracing and drafting film. 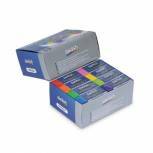 Swash Coloured Plastic Erasers Assorted (Pack of 32) TPR32A Pack of 1 Swash Premium Pencil Erasers. 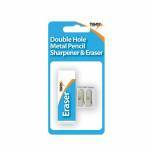 Erases graphite from most surfaces - paper, card, tracing paper, OHP transparencies and matte drafting film. Made from environmentally friendly thermoplastic rubber. Free from PVC, phthalates and latex.